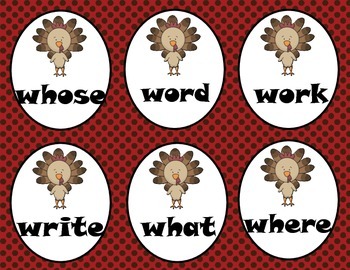 This set contains high frequency words commonly found in readers grades 1-2. 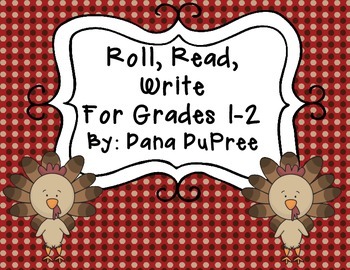 IRLA reading assessment teachers these words are from the 1B and 2B list. There are three ways students can use this center. 2. 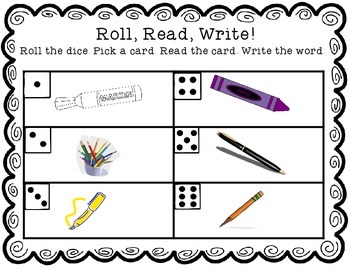 Pint and laminate all the word cards or the ones you want them to practice. 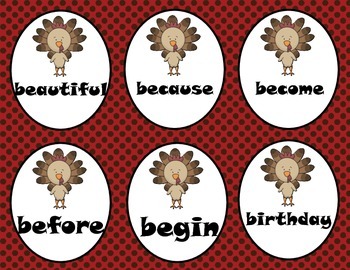 Print the last two sets of turkey cards 4 times. Place in a basket and pass around. Students will take turns pulling out and reading the card. But beware the farmer is on the loose and he may take your cards. 3. Print 2 sets of cards (except the last two pages) and laminate. Students will turn the cards face down and play a memory match game. The one with the most matches wins.